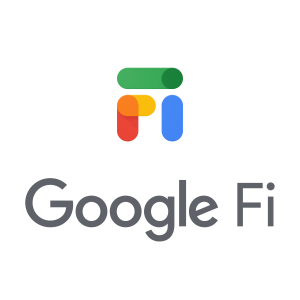 Google Fi Mobile Service Announced | HOBI International, Inc.
Google took another step towards becoming a phone company Wednesday with a relaunch of its mobile phone service under a new Google Fi branding. Previously known as Project Fi, the service is now officially available on iPhones as well as the majority of Android phones. The service offers consumers a simplified pricing model: Unlimited talk and text cost just $20 a month. Google charges $10 for every GB of data used, but caps data charges at $60. This means that consumers never pay more than $80 per month, and potentially a lot less if they don’t use much data. Google first launched Project Fi in 2015 as a phone service for its own Pixel line of phones. The service technically worked with other phones in the past as well, but often required some manual tweaking. Now, the company is making using Fi with third-party phones a lot easier: On Thursday, it released an iOS app that can be used to monitor data usage, billing and more. However, iPhone users still won’t have access to all of the service’s features. Most notably, they may not be able to get the same network coverage as someone who uses a Google-made Pixel phone. Google doesn’t operate its own cell tower infrastructure for Fi, but instead rents it from other operators, including T-Mobile and Verizon. Pixel phones, and a select number of other Android phones, can dynamically switch between these networks, and use whichever cell tower has the strongest signal. iPhones, and Android phones not optimized for Fi, rely on T-Mobile’s network by default.